How does one go about angel investing in Africa? Well, we went to South Africa for the African Angel Investor Summit and we definitely got more than just a lousy t-shirt. Instead, we made some new friends and came away with learnings. And lots of them. 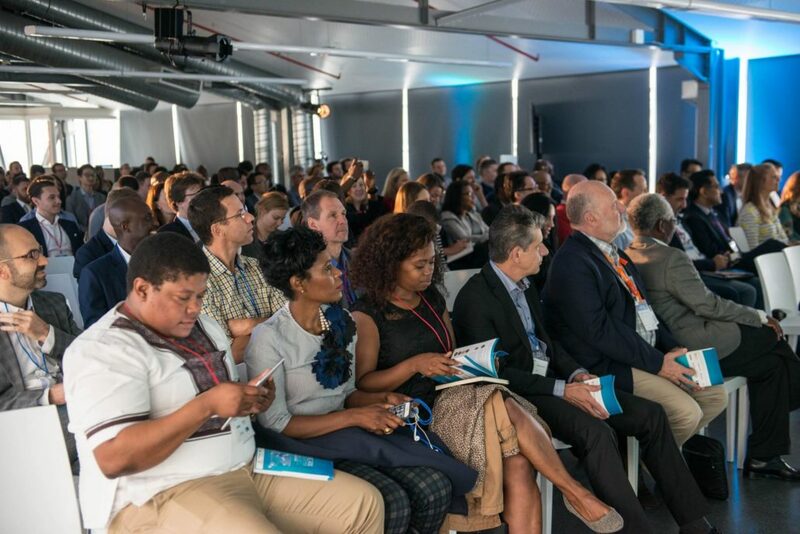 The 4th edition of the continent’s largest gathering of business angels, or #AAIS20174, saw 300+ attendees, 75 speakers, 20 XL Africa Scaleups, and 80 investor organizations come together during two amazing days in Cape Town. From 11 keynotes, and nine panel discussions, its easy to see why everybody is talking about investing in Africa. Let’s begin with the basics. The very fact that these kinds of events are happening shows that the startup and investment culture is gathering speed. The entrepreneurial ecosystem may be an emerging one. And that means Africa is truly a land of opportunity. Great ideas – like in most places – are abundant. In Africa, however, they are scattered around the continent in a haphazard way. All the more reason for the existence of events like #AAIS20174. Overall, angel investing is still a relatively fresh concept here, and it’s excellent to see such enthusiasm among the organizations and people looking to move things forward. This years’ theme, Start-scale-exit, F(o)unding Great Startup Teams Poised For Global Success, was one close to our heart. That’s because we are all about taking startup teams from idea to exit, especially to VC’s. We took part in an enlightening opening panel on Nov. 16 discussing Catalysing Smart Capital for Scale-ups. And I would say that one of our key learnings from the two days was the importance of this concept of Smart Capital. That funding is only really one aspect of angel investing. Contributing relevant business acumen, networking and market access to a start-up are just as important. And in our case, offering marketing and technical support services as part of our lean acceleration programme. All of this is what constitutes Smart Capital in angel funding. So, Smart Capital is the watchword for angel investing in Africa. But is that it? Not by a long shot. We’re still picking the bones from the feast of information and insights. Few places in the world right now are heading for immediate rapid across-the-board growth than Africa, a continent with fascinating macroeconomics. And the exclusive investor-only event, hosted at Workshop17, brings that message home even harder. The continent is made up of high quality and highly-skilled entrepreneurs, many of which have an academic and initial working background from the USA. Angel investing is still in an embryonic stage, although it is becoming more and more common practice, with varying degrees across the different nations. There’s a lot of work to do, however, to introduce potential investors to best practices of early stage investing. Local knowledge of the market is a key asset for an angels wanting to invest here. And by local we mean on a per country basis. The intricacies of each of the individual African states can not be underestimated. VC investing is lagging behind the US and Europe. This presents a significant opportunity for new and smaller VC players in the US and Europe to get the upper hand by relocating to or focusing on African deals. The same goes for angels. Although there’s a strong problem-solving mindset developing in the region, it’s very tough to implement or address Pan-African solutions. The region is in need of many already existing and successful solutions implemented elsewhere, such as in logistics, FinTech, AgriTech and infrastructure. Although such industries above are capital intensive, the ROI numbers work because the size of the capital investment is smaller than in the US or Europe. Sponsors such as the World Bank in the XL Africa project are vital, as there is a long way to go before national policy makers introduce incentives for angel investing in Africa. Current corporate CEOs and successful founders in Africa are prime candidates to become angel investors. They must be introduced and coached on early stage investing. Similar inspiring events are popping up constantly which is something extremely good for the startup culture in Africa. They are the best way to bring communities together, enabling investors to make relevant connections. Looking ahead to what 2018 may have in store, it’s clear that some of the above issues will be tackled. The point is that the region offers incredibly fertile ground for early stage investment. Here’s to spreading the word about angel investing in Africa, and watching the region grow from strength to strength.